Shaun will be fishing with partner Hunter Christy. Welcome to Extreme! Corey fishes with John Sherer. He runs a Phoenix 619 and likes fishing the Potomac River. Melvin has been fishing tournaments for 17 years with VA Bass Region 1 and 2, The Potomac River Series and Extreme Bass Anglerz. Melvin has served on the Board of Directors of Extreme. James is from Woodstock Virginia. He fishes with partner Chris Orndorff, on a 1983 Astroglass. Hunter Christy fishes with his partner Shaun Alkire. Hails from Mount Jackson, Virginia....Andy fishes with Barry Shrum on a 20 foot Procraft 200 BASS. and everyone cares! He has been fishing tournaments for more than 18 years, his favorite body of water is the Chickahominy River. From Fulks Run, Virginia....Bryan fishes with on a Nitro 901 with a 200 h.p. Mercury engine. Bryan has been fishing tournaments for 7 years. His favorite places to fish are Lake Anna and the Shenandoah River. Tony has been fishing for 21 years, which includes six years of tournament fishing, four of those years with Extreme. Tony says " a great group of people" He is Extreme for life! Dennis fishes with Arick Williams on a 2004 Triton boat with a 200hp Mercury engine. Dennis serves on the Board of Directors of Extreme. From Elkton, Virginia....fishes with Melvin Bowling . He has been fishing tournaments for 14 years with Region 1, Page Valley and Extreme Bass Anglerz. His favorite Body of water is Lake Anna. Scott servs on the Board of Directors of Extreme. From Broadway, Virginia...fishes with partner Bill Seal on a Triton, with a 150 hp Mercury engine. Melvin has been fishing tournaments for 10 years with NBC and Extreme Bass Anglerz. His favorite place to fish is the Potomac River. Lives in Charles City Virginia, has been fishing tournaments for nine years. Fishes with her husband John on a 2009 Bass Cat. Loves being on the water and the friendships that fishing has brought. From Charles City Virginia, John has been fishing tournaments for 9 years. He loves the Chickahominy River whether the fish are biting or not. He fishes with his wife Debra on a 2009 Bass Cat. His favorite pro is Paul Elias and his most memorable fishing experience is catching big fish in the mats on the Potomac River. Chris fishes with partner James Burner. From Woodstock, Virginia. Bill fishes with partner Melvin Fulk on a Stratos 278 with a 150 hp engine. Bill has fished tournaments for 25 years with North Mountain, and Extreme Bass Anglerz. Bill's favorite places to fish are Lake Anna and the Potomac River. John is from Marshall Virginia he fishes with his partner Corey Blake on a Ranger 518 VX. John serves on the Board of Directors of Extreme. The "Shermanator" lived in Broadway Virginia. He fished with his partner Kip Hall, on a 2005 Stratos with a 250 Yamaha engine. Danny fished tournaments for 7 years with NBC, Federation and Extreme Bass Anglerz. 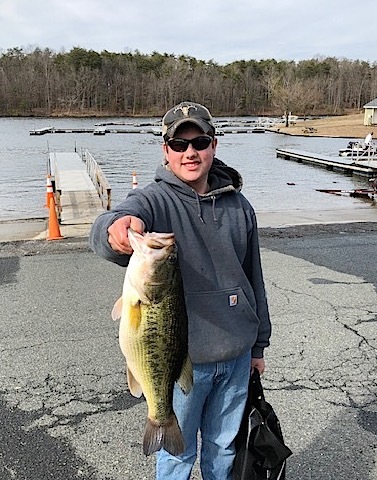 His favorite place to fish was Lake Anna, and his favorite pro was Edwin Evers. His most memorable fishing experience was winning the Smith Mountain Classic in 2009. Danny very much enjoyed the fellowship of Extreme Bass Anglerz and served on the Board of Directors. Lives in Woodstock, Virginia and fishes with his partner Andy Bowman on a 20 Foot Procraft 200 Bass. Barry has been fishing tournaments for 30 years. 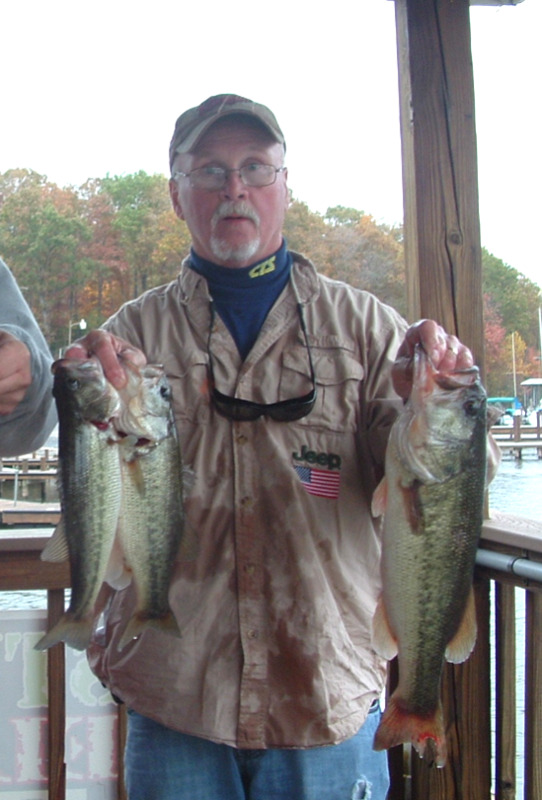 His favorite places to fish are the beautiful Chickahominy River and Lake Anna. Barry serves on the Extreme Board of Directors. Arick fishes with Dennis Dysart.